A sinus infection usually occurs due to a virus, but it can also be caused by bacteria or fungi. It is often triggered by a cold that causes swelling and inflammation of the sinuses and leads to a buildup of mucus, thereby blocking the sinuses. Sinuses are hollow, air-filled sacs behind the cheekbones and forehead that, when filled with fluid, harbor germs giving rise to infection. Other conditions that can cause a sinus infection include allergies, nasal polyps, a deviated septum, and exposure to pollutants and tissue irritants like over-the-counter nasal sprays, cigarette smoke and cocaine. Common symptoms of sinus infections include a headache, facial tenderness, pain or pressure, nasal stuffiness, discolored nasal discharge, a sore throat, cough and fever. Some people may experience increased sensitivity or a headache when leaning forward. To relieve the symptoms of a sinus infection, you can use some easy natural home remedies. Also, consult your doctor for proper diagnosis and treatment. 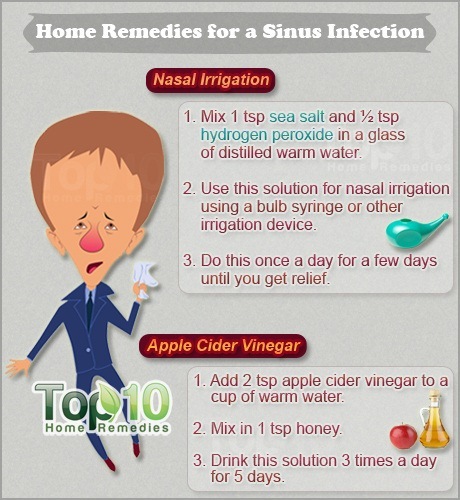 Here are the top 10 home remedies for a sinus infection. 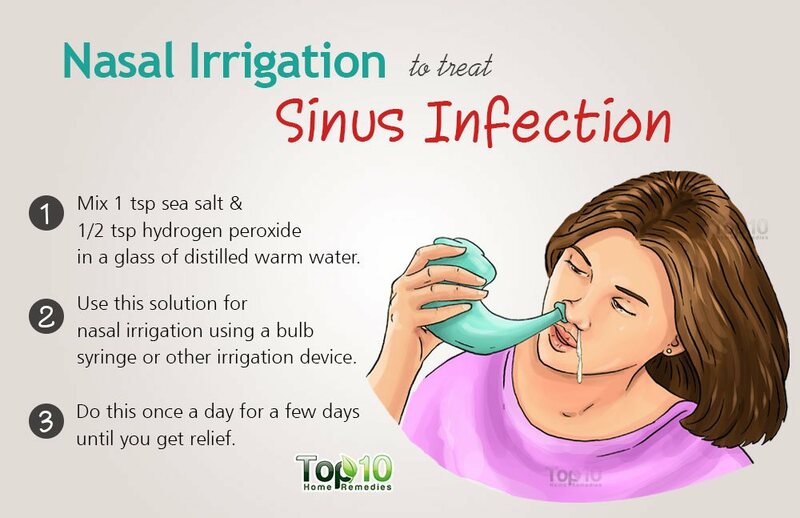 Nasal irrigation is highly beneficial for sinus infections as it helps clear out mucus and other debris from your sinuses. Plus, it keeps them moist. Mix one teaspoon of sea salt and one-half teaspoon of hydrogen peroxide in a glass of distilled warm water. Use this solution for nasal irrigation using a bulb syringe or other irrigation device. Do this once a day for a few days until you get relief. Do not use it more often than daily as it may irritate the mucus membranes. Alternatively, mix one-half to one teaspoon of pickling or canning salt and a pinch of baking soda in a cup of lukewarm distilled or previously boiled water. Use this solution for nasal irrigation. You can use it two or three times a day for about a week. Apple cider vinegar has antiviral, antibacterial, antifungal and anti-inflammatory properties that help treat sinus infections. Taking apple cider vinegar at the start of colds, flu or allergies can help prevent a sinus infection from developing. Add two teaspoons of apple cider vinegar to a cup of warm water. Drink this solution three times a day for five days. Cayenne pepper is an effective home remedy to open up and drain the sinuses. Also, it boosts immunity, reduces swelling and inflammation, and improves circulation. Mix one teaspoon of cayenne pepper in a cup of hot water. Drink it two or three times a day. Alternatively, you can eat a mixture of one teaspoon each of cayenne pepper and honey a few times a day. Use either of these remedies for a few days or until you see improvement. 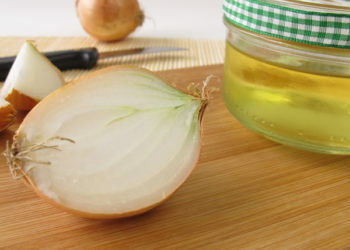 Onion works as an excellent decongestant to open up your sinuses. Plus, it contains sulfur compounds that fight bacteria and fungi. Chop an onion into small pieces and put the pieces in a pot of water. Let it boil for about five minutes, and then inhale the vapors for a few minutes. Next, strain the liquid and drink it. Repeat a few a times a day for about a week or until the congestion clears. Garlic works as a natural antibiotic to fight sinus infections caused by bacteria and viruses. It is particularly beneficial when the sinus infection is caused by bacteria. Garlic also has antifungal properties. Chop two or three garlic cloves, add them to a pot of boiling water and inhale the steam of this garlic-infused water for a few minutes. Repeat a few times daily until you get relief. You can also eat two to three fresh garlic cloves (preferably crushed) daily. Also include onion, garlic, cayenne pepper and horseradish in your soups and meals to help get rid of excess mucus. Horseradish is another popular remedy for sinus infections as it helps remove mucus from the nasal passages. It also contains high levels of sulfur and works as a natural antibiotic. Put a pinch of freshly grated horseradish in your mouth. Hold it in your mouth until its flavor dissipates, and then swallow it. Repeat a few times a day for about a week or until the infection clears. Ginger has antiviral, antibiotic and anti-inflammatory properties that help treat sinus infections. The polyohenols present in ginger help inhibit the secretion of mucus, while maintaining normal nasal ciliary motility. Healthy cilia are important for sinus health as they filter allergens and prevent sinus infections. Cut a two-inch piece of fresh ginger root into slices. Boil the slices in one cup of water over low heat for about 10 minutes. Strain the solution, and mix some lemon juice and honey in it. 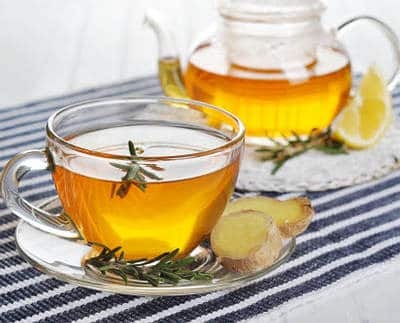 Drink this tea a few times a day for about a week or until you get the desired results. This essential oil has antiviral, antibacterial and antifungal properties. Plus, being an anti-inflammatory, it helps reduce inflammation. It also works as a great antioxidant and immune-booster. Put a couple of drops of the oil of oregano in one-half cup of boiling water and inhale the steam to clear the congestion and open up the sinuses. Do this daily until the infection is gone. 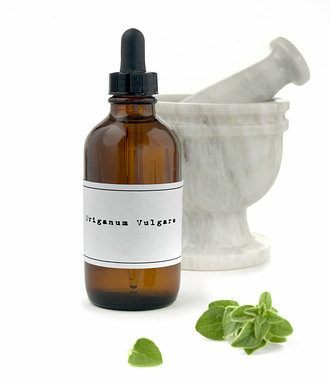 Alternatively, mix two or three drops of oregano oil in a glass of water. Drink this solution twice daily until the infection clears. Another option is to simply put a drop or two of the oil under your tongue daily for about a week, or until you get positive results. 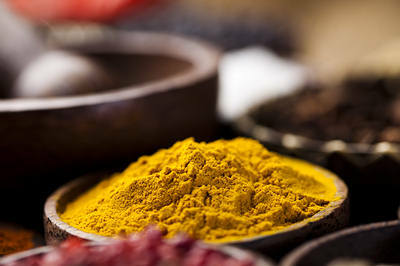 Turmeric has antibiotic, antiviral and anti-inflammatory properties that help treat sinus infections and congestion. It has an active compound called curcumin that helps heal the swelling in the sinus cavity and clear the airways. Mix a pinch of turmeric powder in a glass of warm water. Gargle with it a few times a day for a few days. You can also drink a glass of hot milk mixed with one teaspoon of turmeric powder and a little honey. Drink it daily for about one week or until the infection clears. Another option is to create a turmeric smoothie by blending two pieces of turmeric root (two inches), juice from one lemon, one tablespoon of honey, a pinch of cayenne pepper, one banana and one-half cup of water. Drink this smoothie daily for a few days. Breathing in steam will help relieve nasal congestion and clear sinuses. Plus, a warm compress will help reduce sinus pressure and headaches. 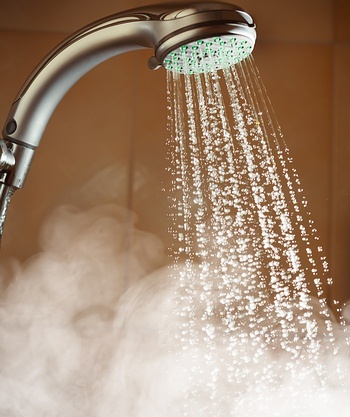 Run a hot shower and breathe in the steam vapors for about five to 10 minutes. Do this daily for a few days until the infection clears. You can also place a wet, warm towel on your face for a few minutes, several times a day for a few days to help relieve sinus pressure. In addition to these remedies, follow some simple measures like drinking plenty of water to thin the mucus and using a humidifier to keep the nasal passages moist. Plus, adequate rest will facilitate speedy recovery. Thanx,home remedies are very useful for all people.Nice job. I like your home remedy pls send remedies for sugar-cure+ high-BP+arthritis & unknown pain in body.tks & awaiting for ur rply. Will for sure give two or all a try. Mulberries and oleanders. are on the bloom and every 3 months have to get allergy shots, Steve has it so bad doc has him on 90 dys of steroids along with sudafed D and Singular.Willing to try anything to get relief . Out here we use an old Mexican remedy, A bottle of Barcadi 151 stuffed with rosemary, cumin and curry powder which works great but,u get immune to it after 20 yrs of doing it.100% we are trying yours. Thanks a Lot Cuz! <U ever think bout puttin these along with others in a book? lv ya dearly! Your homemade remedies are very simple to make with easily available items around. It is a treasure to cure any disease without visiting a doctor.In short a patient can be a doctor too with your remedies. Thanks .your home based treatment r very effective .thanks a lot. The information was very useful .Please continue to send it to my phone. Your articles are very useful and interesting. I have tried some and got thoroughly satisfied. I am sharing this beautiful information with others too.